Observation - Fulmar - UK and Ireland. Description: I think these are Fulmars? Photographed on Handa Island. 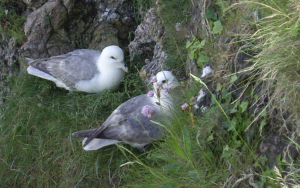 I think these are Fulmars? Photographed on Handa Island.